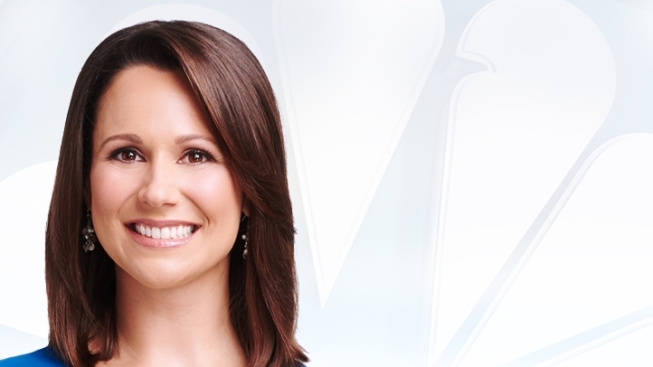 Meteorologist Erica Grow is a member of NBC 4 New York’s Storm Team 4 weather team and anchors the station’s weather coverage for the weekend editions of “News 4 New York” at 6 p.m. and 11 p.m. She also delivers weather updates on weekday editions of “News 4 New York”. In 2018, Grow was elected by her American Meteorological Society (AMS) peers for a three-year term on the nation-wide AMS Council. Through this election, Grow will serve in the leadership of Council through 2021. She previously held a variety of Board positions since 2015, and has long been an active member of the organization. A scientist at heart, Grow is passionate about sharing her love of weather and science with others. She is a STEM mentor (Science, Technology, Education and Math) through the National Girls Collaborative Project, and also serves on the Advisory Council for the Climate Museum of New York City. She also developed the curriculum for NBC 4 New York’s popular “Weather Kids” weather safety program, which launched during the 2017-2018 school year and continues to serve students throughout the Tri-State area. Prior to joining NBC 4 New York in 2015, Grow served as a weekend evening meteorologist for WUSA in Washington, DC. She began her career at KMID-TV in Midland, Texas and has worked for WTNH-TV in New Haven, Connecticut, WHP-TV in Harrisburg, PA, and WPVI-TV in Philadelphia. A native of nearby Lehigh Valley in Pennsylvania, Grow graduated from Penn State University (PSU) in 2002 with a degree in Meteorology. A die-hard Nittany Lion fan, Grow serves on the board for the NYC Chapter of the PSU Alumni Association, and is the co-chair of Penn State’s Meteorology Development Sub-Committee. In her free time, Erica loves spending time outdoors, going to live music shows, hosting friends and family at home, and cheering on her beloved Nittany Lions and New York Giants.